39 CR: The city of Sunburry, which was destroyed by the dragon Fanfir and then infested by beasts, is reclaimed. 40: The southern caravan route to Dercia is reopened. 41: Realmish knights help the Dercian king clear his land of beasts, bandits and Druidic raiders. 42: The Abram’s Bridge Speech. King Roland urges a great gathering of the Realm’s knights and aristocrats to follow his father’s example and dedicate themselves to a life of service and errantry. His speech is received enthusiastically and a host of knights, led by their king, cross over to the continent. 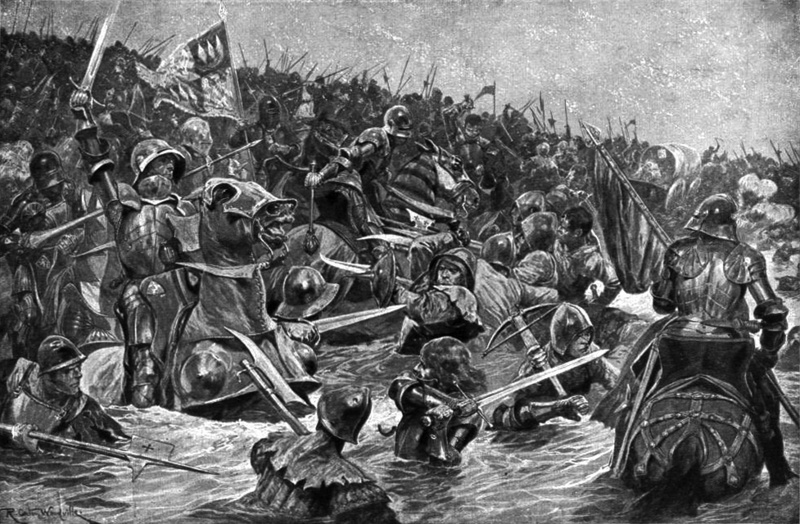 46: A band of Realmish knights led by Anne Hightower of Houghton, clears the great citadel of Barlburg and opens the river down to Levestar and the ocean. Barlburg becomes a base of operation for knights errant and the recovery of Central Barraine begins in earnest. 48: Individual groups of knights begin to refer to Isaladar as divine. His worship slowly spreads through their ranks. 51: Through the first clever Realmish use of cannon John de Albern, Duke of Farron, sacks the Druidic fortress’ at the top of Greypeak Pass. In their place he builds two enormous citadels, Peace and War. 53: In the newly repaired Barlburg cathedral, the youthful Grand Duke Maximilian of Garenburg is elected Bar Emperor. 61: The Amberg Fair. 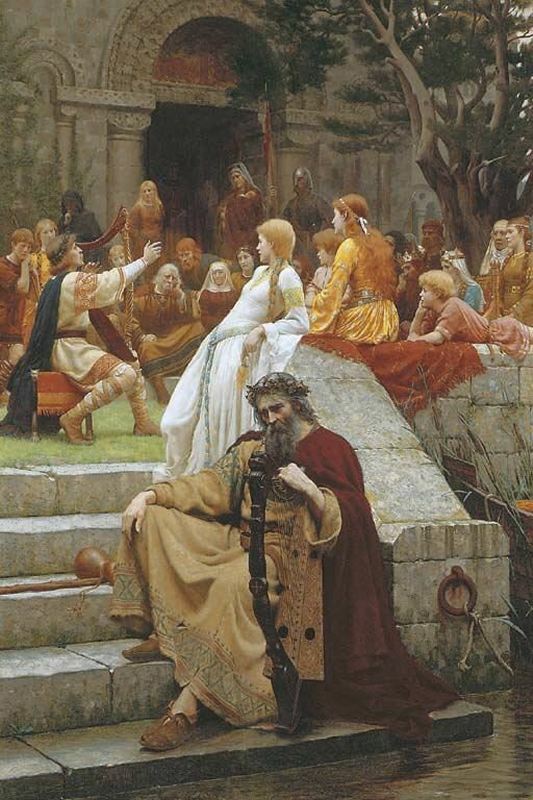 According to Bede’s Glorious Chivalry the fair is the first time the worship of Isaladar as a godling has been openly discussed by a large group of the knights. Many who later return to the Realm spread the word of his godhood there. 63: Golagarth, the last giant on the western side of the Karloth Mountains, is killed. 69: Alexander Vaughan, Bishop of Mandor, calls together a group of Realmish bishops to discuss the Isaladarian Cult. The meeting is heated and ends with the two factions, those who accept Isaladar’s divinity (The Acclaimers) and those who see his worship as heresy (The Deniers), in open feud. 73: A combined Realm-Imperial Bar army, led by Anne Hightower and Emperor Maxmillian clears the Drakvarn Pass through the Karloth Mountains. Inspired by the efforts of de Albern in the Realm, Maxmillian then constructs a vast citadel, Drachenfels, to hold the pass. 77: On completion of Fortress Drachenfels, Emperor Maxmillian gives a speech to a group of his lords confirming his belief in the divinity of Isaladar. 81: A band of pirates ravage the Emerald Sea. The ‘Noble Brotherhood’ are a group of sailors who had helped with the initial rebuilding of the continent but have since turned to piracy. 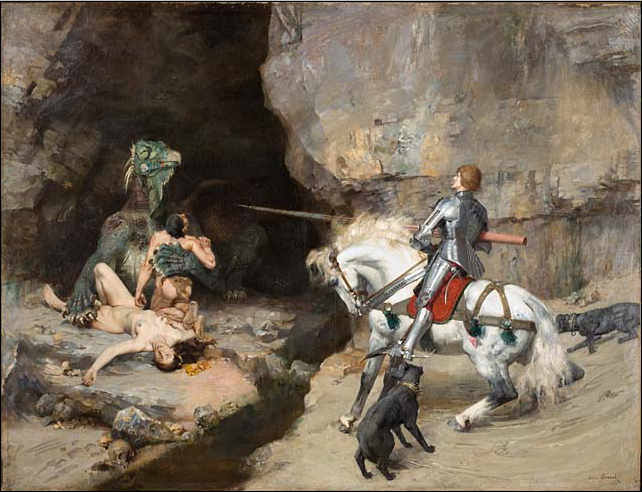 83: Sir Peregrine Raubert, one of the Realm’s most famous knights, is mortally wounded killing the infamous sea-wyrm Childtaker. 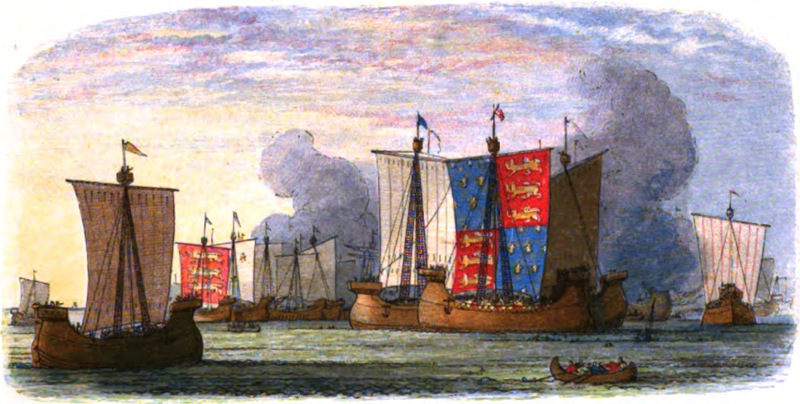 84: A large raid by the Noble Brotherhood burns much of Yarmouth’s docks. 87, January: The Caladian High Prelate passes a bull denouncing the worship of Isaladar as a heresy. 87, March: Caladia bans Realmish knights from entering its borders. 89: Alexander Vaughan is murdered in Mandor by a group of Deniers. 91, June: In an effort to suppress the Noble Brotherhood, a combined Realmish-Dov-Dercian-Bar fleet sails to Invanstir. 92, July: The last of the Noble Brotherhood’s strongholds are crushed and their leaders executed. During the campaign the worship of Isaladar spreads through the allied fleet and many veterans carry his worship home. 95: The Conclave of Misenum. A group of Circillian secular and religious leaders gather to discuss the Isaladarian Cult. Despite the best efforts of King Roland and Emperor Maxmillian to argue that peaceful coexistence between the Orthodox Samaryani faith and the Cult of Isaladar is possible, their efforts are unsuccessful. The meeting ends with an ultimate – the Caladia High Prelate, supported by his Emperor, gives the other nations of Circilia till the end of the year to suppress the worship of Isaladar. They refuse. 97: Heart broken by his failure to broker a compromise, King Roland dies. His daughter Margot II is crowned Queen. 99: Queen Margot is assassinated by the Denier Zachary Hunt, a zealot who feels that her family has nurtured the growth of the Isaladarian cult. Her nineteen year old daughter, Berengaria succeeds her murdered mother. 103: Queen Berengaria passes the Glorious Law. This law simultaneously proclaims the Realm an Isaladarian nation and guarantees freedom of religious practice within the country. 106: Anne Hightower, by now an ancient woman living with Emperor Maxmillian, is abducted by a group of Caladian Templars, put through a farcical show trial and then burnt at the stake for heresy. Many Realmsmen see this act as petty ‘punishment’ for the passing of the Glorious Law. 107: Enraged by this affront, Bar, Dercia and the Realm shut their ports to Caladian ships and ban all Caladian merchants form their shores. 109: Emperor Maxmillian dies and his son Herman IV is elected to succeed him. 112: With his economy, which is still suffering from the depredations of the Wolves, facing ruin from the five year embargo Emperor Carminius decides to stamp out the Isaladarian Cult for good. Without warning his legions cross the border and invade Solene. 113: Faced by the full might of the Imperial army and its dragons, Solene quickly capitulates. Worshippers of Isaladar are forced to flee, recant or die. 114: The Imperial Army crosses the Asarenne Mountains into southern Bar. Following the advice of his Realmish advisors, the young Emperor Herman IV refuses to offer battle and withdraws north. 115, May: The Imperial Army captures Levestar and advances up the river towards Barlburg. 115, September: As winter sets in the position of the Imperial Army in Bar weakens. Even the dragons can only be in so many places at once and the Caladian supply lines and patrols are constantly harried by Bar and Realmish knights. Throughout the country the Bar population also rises against the invaders and many smaller garrisons are wiped out. 115 – 128: The war in Bar drifts towards stalemate. Dov and Realmish privateer fleets plague the Tenebrarum Sea and take many Caladian ships. 129: With the Caladian treasury virtually empty and no end to the vicious war in Bar in sight Emperor Carminius finds himself in a desperate situation. Painfully aware that the Realm is both the spiritual heart of the Isaladarian Cult and has an almost unlimited ability to fund the Bar war effort, the Caladian Emperor resolves to knock his most troublesome foe out of the war in one grand blow. 130, February: In great secrecy the Caladian Emperor prepares to invade the Realm. He gathers together an enormous war fleet.The Caladian offensives in Bar are quietly halted and half a dozen of his elite legions are marched to Levestar to embark. 130, February: Harriet Winters, a Realmish courtesan learns of the Caladian invasion from a senior Caladian legate. Slipping out of Levestar she hires a ship and races back to the Realm to raise the alarm. 130, April: Queen Berengaria quickly realises her nation is at a moment of great crisis. Her fleet is dispersed privateering and the majority of her soldiers are in Bar and will never reach home before the Caladians. She scours the Realm for any who may be able to aid the nation and eventually strikes on an unusual saviour. Sir Roland Hamilton was a privateer in the early years of the war, before a dragon destroyed his ship. The old knight recommends enlisting the help of the Weather Mages who have made their home in the Bastion Islands. He hopes to then intercepting the Caladian war fleet with an enormous, tainted built storm. Taking command of the queen’s flagship, White Lion, Sir Roland sets sail. 130, June: Reaching the Bastion Islands, Sir Roland seeks the Weather Mages’ aid. The mages , well aware of Caladia’s hatred for the taint, quickly agree to help the Realm. Twelve of their most powerful mages join Sir Roland as he sails on to meet the Caladians. 130, July: The Great Storm. The White Lion meets the Caladian fleet at sea and the weather mages summon a terrible tempest. 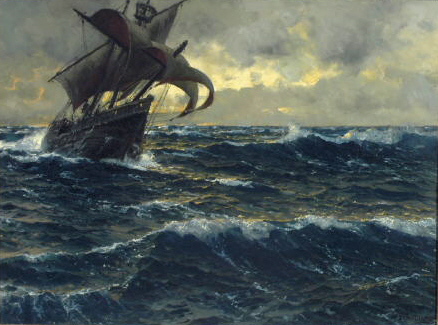 For three days and nights the Caladian fleet is tossed about by howling gales and half of the great fleet is sunk. By the dawn of the fourth day the weather mages tire and the White Lion is caught by a freak wave. 130, July: Despite the damage to his fleet, Emperor Carminius decides to continue his invasion. He is still confident that his surviving troops, supported by his great dragon Ultor Magna, will crush any Realmish opposition. He is also hopeful that some of the Denier families will rise to support his invasion. 130, August: The Caladians land in the south of the Realm. They capture the city of Finchbury and much of the Southern Coast. 130, December: To Carminius’ surprise the majority of the Deniers remain loyal to Queen Berengaria. The Caladians advance overland towards the Emerald Sea. 131, March: Castle Danton, a great Realmish fortress is captured by the Caladians. The route to the Emerald Sea is opened. 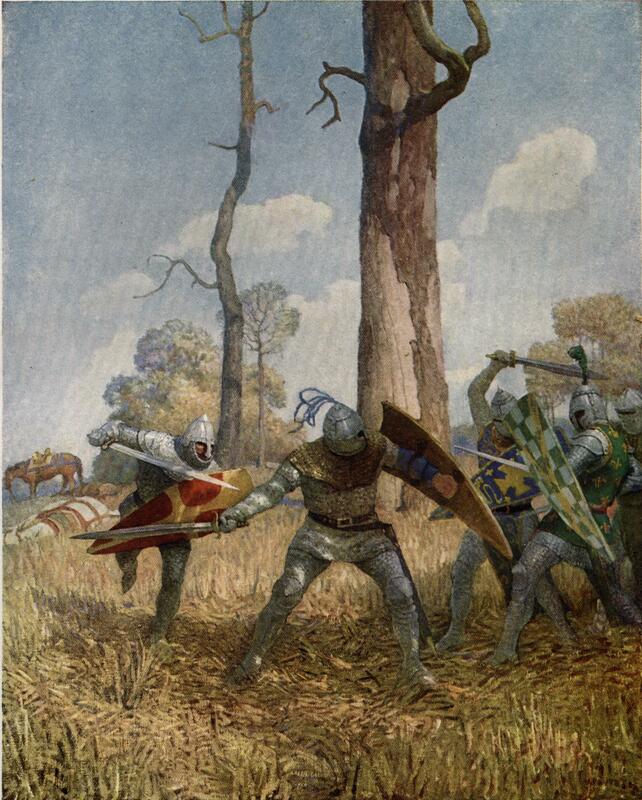 131, April: The Battle of Darnmoor. The queen’s commander, Knight-Marshal Mordaunt, Duke of Andiel, confronts the Caladian Emperor in a terrible battle. The Realmish longbowmen and knights manage to hold their line against the Caladian infantry, but in turn are badly mauled by Ultor Magna. The battle is eventually decided when a freak arrow strike brings the great dragon down and it is then finally overwhelmed by Realmish knights led by the Knight-Marshal himself. With his battle line disintegrating around him, Carminius and a number of his senior officers commit suicide. 131, April: The Knight-Marshal Mordaunt, crippled by a blow from Ultor Magna at the very moment of his great victory, returns home to Andiel. Queen Berengaria assumes command of her army. 131, July: The remaining Caladian troops in the Realm surrender at Castle Danton. 133: The Peace of Levestar. Caladia withdraws from Bar and recognises the rights of Dov, Dercia, Bar, Invanstir and the Realm to practice what religion they choose. Solene remains under Caladian control and the northern powers recognise the primacy of the Caladian church south of the Asarenne Mountains. 137: Queen Berengaria contracts a fever while overseeing the repair of Castle Danton and dies suddenly.